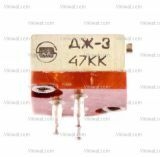 Trimmer Potentiometer 50Ohm, 0.5W, Multi-turn, Vertical, Wire, THT Trimmer multi-turn potentiometer vertical wire with resistance 50 Ohm, power 0.5 W, THT mounting. Trimmer Potentiometer 100Ohm, Multi-turn, Horizontal, Wire, THT Trimmer Potentiometer Multi-turn Horizontal Wire, 100 Ohm. Trimmer Potentiometer 100Ohm, 0.5W, Multi-turn, Horizontal, Wire, THT Trimmer multi-turn potentiometer horizontal wire with resistance 100 Ohm, power 0.5 W, THT mounting. Trimmer Potentiometer 100Ohm, 0.5W, Multi-turn, Vertical, Wire, THT Trimmer multi-turn potentiometer vertical wire with resistance 100 Ohm, power 0.5 W, THT mounting. For a technical chart and dimensions see the attached file! List Price 0.50лв. VAT Incl. 0.45лв. VAT Incl. 0.40лв. VAT Incl. 0.35лв. VAT Incl. 0.30лв. VAT Incl. List Price: 0.90лв. VAT Incl. Trimmer Potentiometer 100Ohm, 0.75W, Multi-turn, Horizontal, Wire, THT Trimmer multi-turn potentiometer horizontal wire with resistance 100 Ohm, power 0.75 W, THT mounting. For a technical chart and dimensions see the attached file! 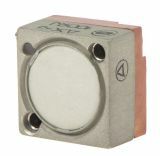 Trimmer Potentiometer 200Ohm, 0.5W, Multi-turn, Vertical, Wire, THT Trimmer multi-turn potentiometer vertical wire with resistance 200 Ohm, power 0.5 W, THT mounting. For a technical chart and dimensions see the attached file! Trimmer Potentiometer 200Ohm, 0.5W, Multi-turn, Horizontal, Wire, THT Trimmer multi-turn potentiometer horizontal wire with resistance 200 Ohm, power 0.5 W, THT mounting. Trimmer Potentiometer 200Ohm, 0.75W, Multi-turn, Horizontal, Wire, THT Trimmer multi-turn potentiometer horizontal wire with resistance 200 Ohm, power 0.75 W, THT mounting. For a technical chart and dimensions see the attached file! Trimmer Potentiometer 200Ohm, 0.75W, Multi-turn, Horizontal, Wire short, THT Trimmer multi-turn potentiometer horizontal wire with resistance 200 Ohm, power 0.75 W, THT mounting. For a technical chart and dimensions see the attached file! 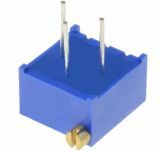 Trimmer Potentiometer 220Ohm, Multi-turn, Horizontal, Wire, THT Trimmer Potentiometer Multi-turn Horizontal Wire, 220 Ohm SP3-39A. 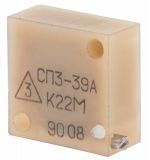 Trimmer Potentiometer 220Ohm, Multi-turn, Horizontal, Wire, THT Trimmer Potentiometer Multi-turn Horizontal Wire, 220 Ohm. Trimmer Potentiometer 470Ohm, Multi-turn, Horizontal, Wire, THT Trimmer Potentiometer Multi-turn Horizontal Wire 470 Ohm. Trimmer Potentiometer 500Ohm, 0.5W, Multi-turn, Horizontal, Wire, THT Trimmer multi-turn potentiometer horizontal wire with resistance 500 Ohm, power 0.5 W, THT mounting. List Price: 0.75лв. VAT Incl. Trimmer Potentiometer 500Ohm, 0.5W, Multi-turn, Horizontal, Wire, THT Trimmer multi-turn potentiometer horizontal wire with resistance 500 Ohm, power 0.5 W, THT mounting. For a technical chart and dimensions see the attached file! Trimmer Potentiometer 500Ohm, Multi-turn, Vertical, Wire, THT Trimmer Potentiometer Multi-turn Vertical Wire, 500 Ohm. Trimmer Potentiometer 500Ohm, 0.5W, Multi-turn, Vertical, Wire, THT Trimmer multi-turn potentiometer vertical wire with resistance 500 Ohm, power 0.5 W, THT mounting. For a technical chart and dimensions see the attached file! Trimmer Potentiometer 500Ohm, 0.75W, Multi-turn, Horizontal, Wire, THT Trimmer multi-turn potentiometer horizontal wire with resistance 500 Ohm, power 0.75 W, THT mounting. For a technical chart and dimensions see the attached file! List Price 0.60лв. VAT Incl. 0.54лв. VAT Incl. 0.48лв. VAT Incl. 0.42лв. VAT Incl. 0.36лв. VAT Incl. 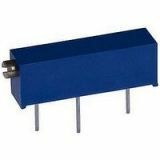 Multi-turn trimmer potentiometers, wire, horizontal and vertical, a wide range of rated resistances for surface tht assembly. A wide variety of high quality multi-turn trimmer potentiometers at competitive prices only from Vikiwat Ltd.